This monthly Tea Club for seniors offers companionship and entertainment to older residents of the parish. 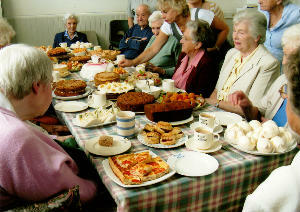 Home baked cakes are a speciality, followed by entertainment provided by local talented residents. The Club meets on the first Friday of each month in The Little Village Hall in Blockley, from 3.00-5.00pm. Transport to and from the Hall is provided if required.